This Reefer Jacket is in my favourite SS18 colour and I must say, Laura Ashley has got it spot on with their new season collection of gorgeous florals and stylish items. There are also several other collections called Meadow Flowers, Butterfly Blushes, Weekend Drive and Hint Of Mint. Each collection is created to mix and match, creating that perfect Spring wardrobe. The legwork has been done for you! This light colour is such a breath of fresh air to wear after all the wintery darkness. The days are staying lighter and Spring is in the air. That’s not to say that this coat isn’t warm. I’m taking these shots on what could possibly be the coldest day of the year and I’m warm as toast. It has a good wool content, and that makes a huge difference. The lining is just so pretty! Undone, the little glimpses of this “Painterly Floral Hero” fabric that also forms part of this seasons collection really does look lovely. It feels great from the inside too. The Gold buttons add a nice touch to the design and the seam detailing and the fit of the coat is what makes this so special. It’s a classic style coat but way on trend colourwise. I think this colour will be a huge choice for many this year. As you can see from above, the Grey Classic Grab Bag if far from just Grey! I love the two-tone effect that matches in perfectly with the coat. I’m showing it here over the shoulder and as you will see, it can be worn without the strap too. I’m wondering if this will be as popular as my White Laura Ashley bag that I shared with you last summer? I still get lot’s of comments about that bag and it will be used a lot this summer to come because I love it so much. The Daisy Flower Cut-work bag is still available in Yellow, and that’s another key trend colour for this year and I’m so tempted to get this colour too. I’m taking these photos at Boston Manor Park today and I love looking at the architecture of these old buildings but feel that this could do with a lick of paint! It’s such a shame to see these old buildings wasting away like this. I want to add that this Reefer Jacket is classed as, well, a jacket! but It’s more like a three quarter length coat in my eyes. I’m 5’2 and this reaches just on my knees. So on the average height, it will be just above the knee. Taking a few shots for my Instagram stories! You can see here, the bag being worn just by the handles. It’s a perfect size for me with an outside pocket and two pockets on the inside to keep everything neat and easy to find. I haven’t mentioned the super waxed Skinny jeans that I’m wearing under the coat. Relaxed style and comfortable to wear. They are keeping the chill out too! I’ve folded the bottoms and I like them this way. 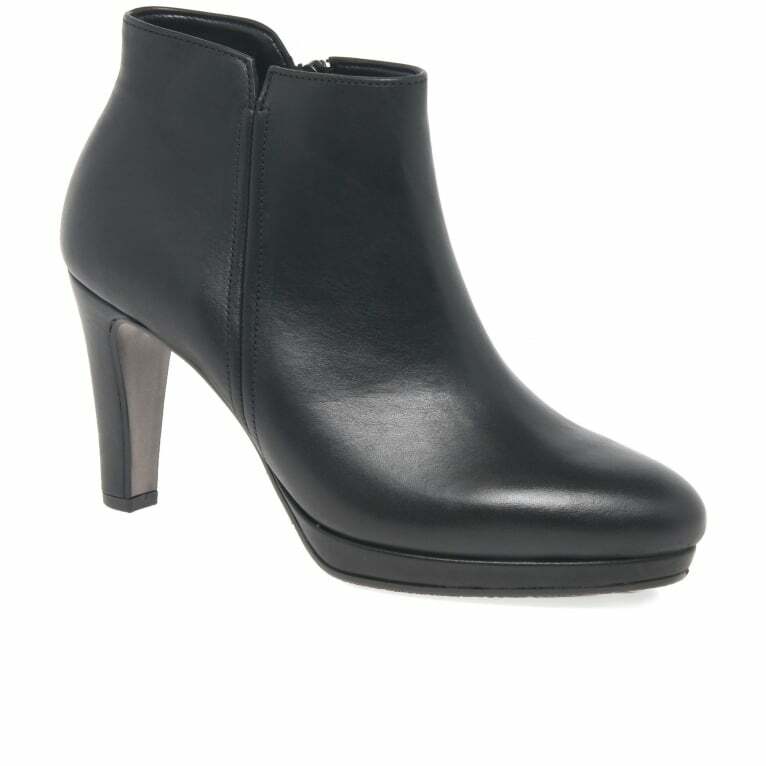 I’ve worn Black boots with the outfit, but I feel this is screaming out for some dark grey boots or court shoes. Watch this space! I wanted to add this shot to show the vent on the back of the Reefer jacket. Always a bonus for movability in my book! What do you think of this new colour trend? Are you wearing it already or will you be buying? The Waxed Skinny Jeans are classic cut with back and side pockets. I love this neutral colour and they will mix with so much already in my wardrobe. A huge thanks to Laura Ashley for gifting me this gorgeous outfit to share with you. They have smashed it again this season with such a great collection. The Sleeveless Jersey Jumpsuit – Found At Last! Next Post Who Wears The Trousers? Me Of Course! What a fun coat! The lining is such a nice surprise! You look so lovely! That coat is simply stunning! Who’d have known that Laura Ashley would sell waxed skinny jeans?! I thought they were all florals and floaty dresses lol! I LOVE the coat, Laurie and the colour is gorgeous on you. I can see why you love it so much. I always get excited when the lining is even prettier than the coat itself! I do like the boots with this outfit too – although I can understand why you’d want some grey perhaps? Such a great coat, Laurie. Everything is great about it: the soft colour, the style and of course the lining, such fun. This coat speaks easy elegance and you look great in it. Gorgeous coat! I love the colour and the patterned lining. Fabulous bag too – it’s nice to have the option of wearing it two ways. Thanks for linking up! What a beautiful coat! You look lovely in the colour. What a pretty coat Laurie, the colour is beautiful. That is such a pretty coat. I love the lining! I love the coat. It looks so cute. What a stylish jacket! And love the coated jeans in that grey colour. Great styling Laurie and I’m so impressed that your hair looks just as gorgeous behind as it does from the front; love the layered cut which plays to your gorgeous volume and wave and swing. All super! Hugs, x. This is really stunning. What a fabulous colours! Oh Laurie whar a wonderful jacket. You look amazing in this color. Laurie, I love the subtleness of the color of this gorgeous jacket! It’s really just lovely! You’re right, it is perfect for this time of year. I would definitely wear it. I’m not a fan of purple colors on me, but this is so subtle, I think it would be lovely!